Edgehill Bellringers – a group of ringers who ring at churches on and around Edge Hill, on the Warwickshire/Oxfordshire border. Want a new challenge? 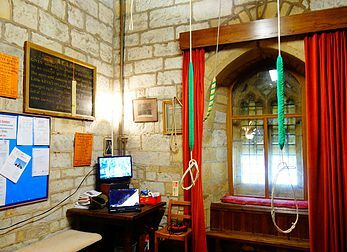 Come and ‘Learn the Ropes’ Monday evenings in the Ringing Centre at St Peter’s Church. During work hours we will be maintaining access for emergency vehicles only. KADS (Kineton Amateur Dramatic Society) are performing 'The Weekend" by Michael Palin on 11/12/13 April at 8.00pm at Kineton Village Hall. Tickets available from 01295 680487. Proceeds from raffle to Air Ambulance. Including a one-hour talk by Henley Chocolates on the history of chocolate and their business plus a short chocolate making demo and tasting. There will also be a chance to ask questions at the end &purchase some of Henley’s very own chocolate! A percentage of all proceeds will go to Kineton Primary School. A welcome glass of prosecco & nibbles included. If you have any questions or information regarding kineton.info then please do not hesitate to get in touch using the information provided below.